When it comes to finding the best printer for teachers there are so many things to take into consideration. Since teachers must use their own money to furnish their classrooms, affordability is the most important thing for them to consider. They will need to find one that doesn’t take up a lot of space, they might need one that offers numerous features, and depending on the class subject and the number of students in the class, they might even need to consider the size of the paper tray and the time it will take for the printer to complete the job. Before you choose the best printer for teachers let’s talk about what you should look for and then we will break down some of the features that might play an important role in your decision. Depending on the type of class you teach and the number of students in your class, you might want to ask yourself a few questions before making your purchase. How much do I want to spend on a printer? Will I be using the printer daily or on occasion? How often can I spend money on ink? Do I need a color printer or will black & white be sufficient? Do I need a wireless printer, or can I use ethernet or a USB? Will I also need a scanner, copier, and fax? Will it be beneficial to save money on paper by printing on both sides? Now that you’ve taken the time to ask yourself these questions you will have a better understanding of what features you should look for in the printer. You probably didn’t realize there would be so many choices and decisions to make when choosing your printer, but if you’re going to invest your hard-earned money in this crucial piece of equipment, why not get what you need? Of course, the cost is an important factor, especially on a teacher’s salary. You might think that you need to settle for minimal features just to stay within your budget. That’s not always the case though and that’s why we’ve taken the time to prepare this guide to help you get the most for your money. 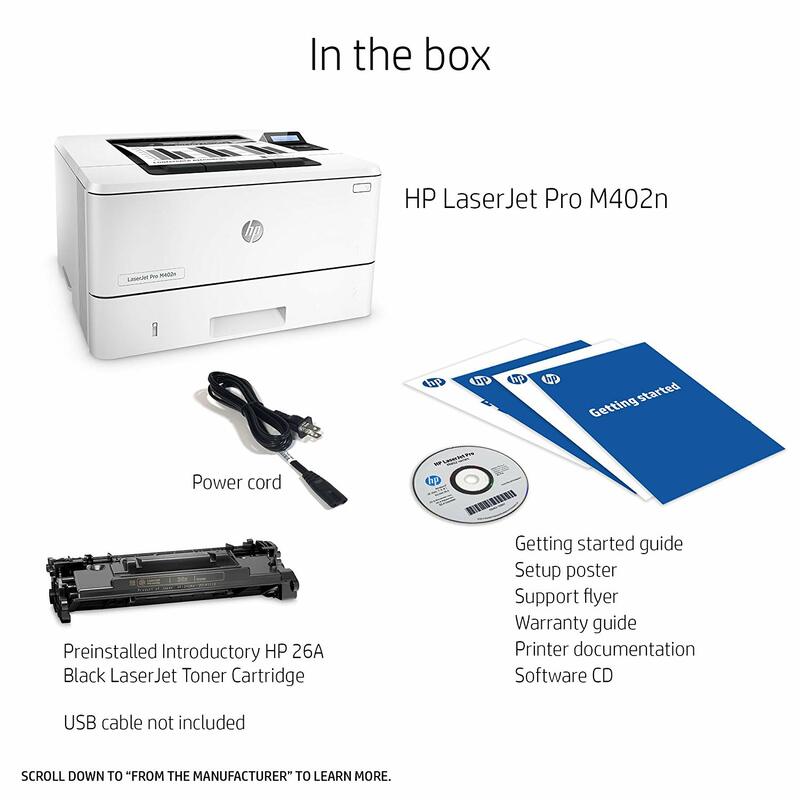 Inkjet vs LaserJet- Keep in mind that although an inkjet printer is usually cheaper than a laser printer, the ink in an inkjet printer will run low much faster than the laser printer. So, you need to factor in the cost of the ink replacement and once you do the math you might reconsider the idea of purchasing the cheaper inkjet option. 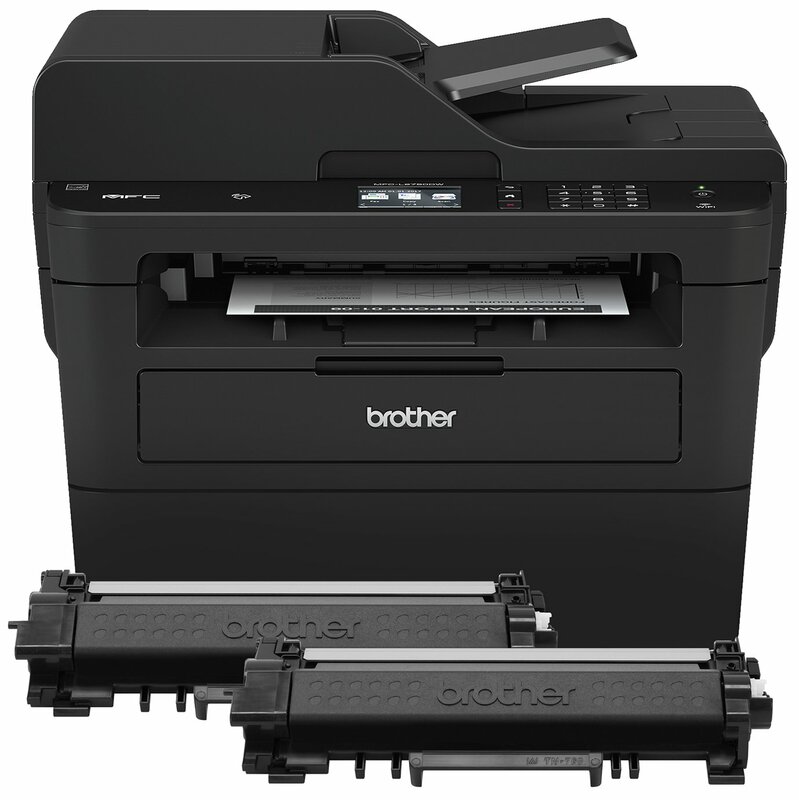 Color or B&W- You will notice that most of the affordable laser printers will only print in black and white, so if color prints are a priority for you then you will want to consider an inkjet printer unless you want to pay top dollar for a color laser printer. Double Sided Printer- If you are looking to keep the cost of paper down then you will want to look for a printer that features duplex printing otherwise known as double-sided printing. Paper Tray Capacity- This might be important to you if you have a large number of prints and you don’t have the time to keep filling the paper tray. Some teachers consider this if they want to multi-task while teaching a class at the same time. Printing Speed- This is another factor for a busy classroom. Nobody has time to waste, so this could help when you’re in a pinch and you need several prints quickly. Built-In-Features- If you need a machine that will allow you to scan something and send it via email or you need to make frequent copies then you will want to look for an all-in-one printer featuring a scanner and copier built into the printer. In some cases, you will find ones that also add in a fax feature. Wireless Features- If you are looking for a printer that will allow you to print from a laptop, a smartphone, tablets, etc. you will want to be sure the printer offers wireless features. Connectivity- If you need to connect your printer wirelessly be sure it offers wi-fi capabilities. Also, note that most printers don’t come with a USB cable and if you need a hardwire set-up be sure the cables are included. Paper Size- If you will only be printing on standard letter-sized paper that’s great, but if you want to print on envelopes or executive sized paper then you will need to be sure it has the features to do this. If you are looking for a printer to print out photos check for that feature as well. Not all printers offer these added features. Now that you understand what you’re looking for in a printer let’s look at five of the best printers for teachers. We have taken the time to do the research and we have chosen five of the best from the most affordable to the more expensive. 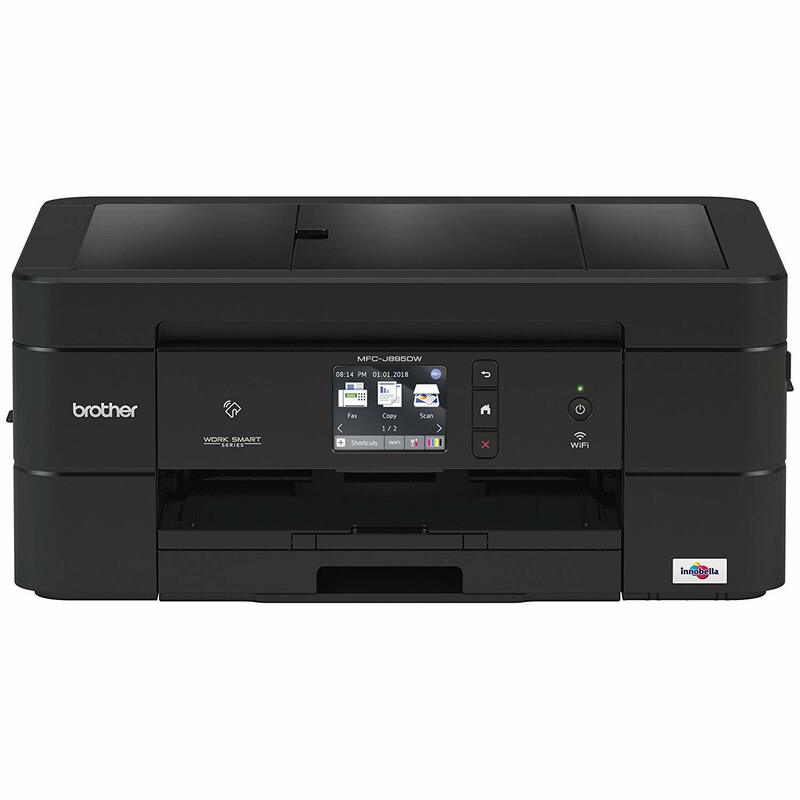 For the best of all worlds at an affordable price, you will want to consider this laser printer from Brother. Not only is it affordable but it’s compact so it won’t take up too much space in your already crowded classroom. Although you can only print in black and white, the resolution is amazing, and you can print up to 27 pages per minute. This printer features two-sided printing so that will help to keep your paper costs down and you will be surprised to learn that the toner cartridges are more affordable than others! The paper tray offers room for 250 sheets at a time and it’s adjustable so that you can print a variety of paper sizes. This printer offers hi-speed and a USB connection. It comes with a toner cartridge to get you started, but you should note that it will only give you about 700 pages before the starter cartridge will need to be replaced. The standard replacement cartridges will last much longer, and you might consider purchasing a refill when you buy your printer. Also, note that this printer does not include a USB cable. You will be happy to see the affordable price tag on this laser printer and with the added conveniences, you will get your money’s worth before you need to replace the ink cartridge. This is another affordable compact printer that will take up little space. Although it is just a printer, you will be shocked at the performance of this little machine. It produces up to 19 black and white pages per minute with 150 sheet capacity tray and it features wireless connectivity allowing you to print from all your mobile devices. It features an easy to read control panel and the printer will automatically turn on and it will shut off automatically when it’s not in use. This is a simple little printer with an incredible end result. It may not include all the bells and whistles, but for an affordable laser printer, you won’t be disappointed. If simplicity is what you’re looking for then this is the printer for you! 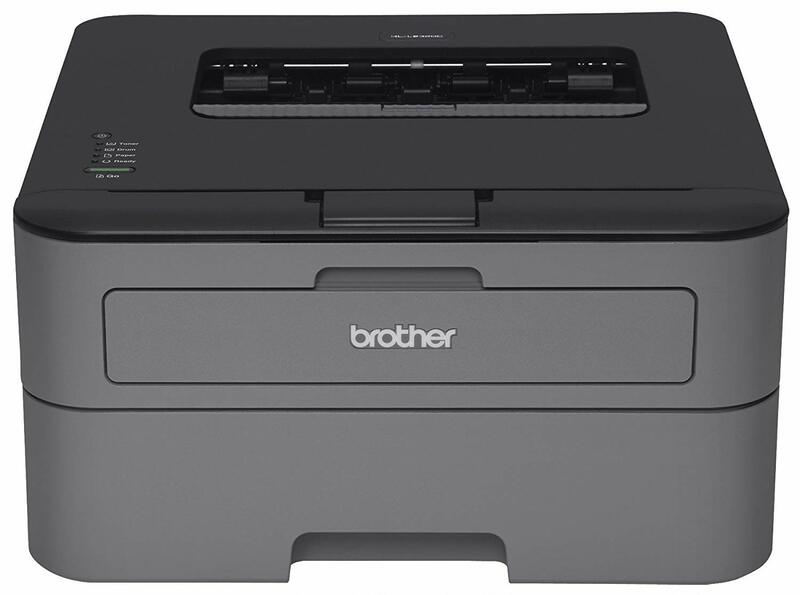 If you’re looking for something that offers more features at an economical price, then you might want to consider this all-in-one inkjet printer by Brother. As you have already learned, an inkjet cartridge does need to be replaced more often than the LaserJet, but at this price, and with the all-in-one features it just might be the one you need. You can print 12 pages per minute in black and white and 10 pages per minute in color. That’s not a bad number of prints considering that some of the other affordable printers on the market print fewer pages per minute than this one does. With a variety of connection options along with the numerous printing options including photo capability, how could you go wrong with this choice? You can print on letter or legal-size paper as well as card stock and envelopes, and you can print on both sides of the paper too! Do all your mobile printing and connect to the cloud. If you’re on a budget but you need a printer that will also copy, scan, and fax then this is the one that’s right for you. This printer will not disappoint and will deliver the results you expect! This one is a great choice if you’re not looking for all the bells and whistles, but you do need something that will help you work faster. This printer has a tray that will hold 350 sheets at a time, and it will print up to 40 black and white pages per minute. Although it’s not a wireless printer and it only offers ethernet or USB connectivity, it still offers the capability of printing from your wireless devices. You cannot scan or print copies from this printer, but it does produce high-quality prints every time. 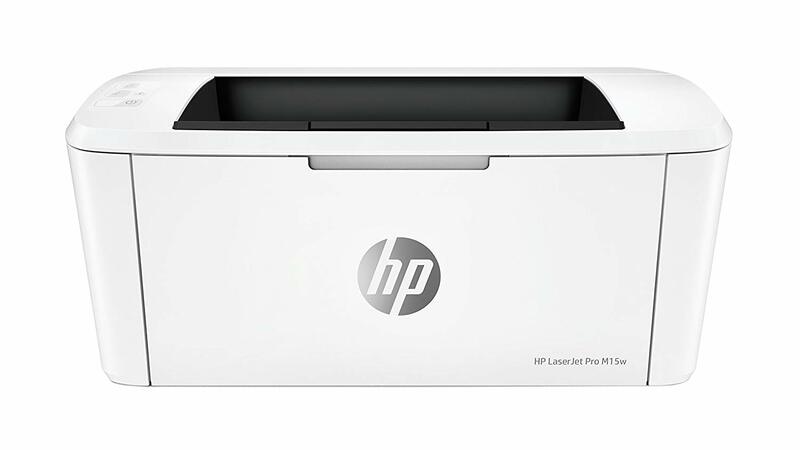 It does have a larger price tag than some, but keep in mind that it does perform faster than most and it is a laser printer so you won’t need to replace the ink as often as you would with an inkjet printer. It will pay for itself in no time! If you want a printer that will do it all and you don’t mind splurging, then this one is the perfect match for you! This wireless LaserJet printer will do everything except talk to you. It does only print in black and white, but the prints are phenomenal, and it features auto printing, copying, and editing on both sides of the paper. You can print, copy, scan, and fax while doing it all from your wireless devices if that’s your preference. It prints 36 pages per minute and the capacity tray will accommodate up to 250 sheets. That’s more than the average printer can produce at one time. The color control panel is displayed on a 2.7- inch touch screen and it’s not only easy to see, but it’s also easy to use. It even includes two-years of toner. This printer is on the higher end of the price scale, but it delivers a performance like no other and offers every feature you could want with the exception of color prints. 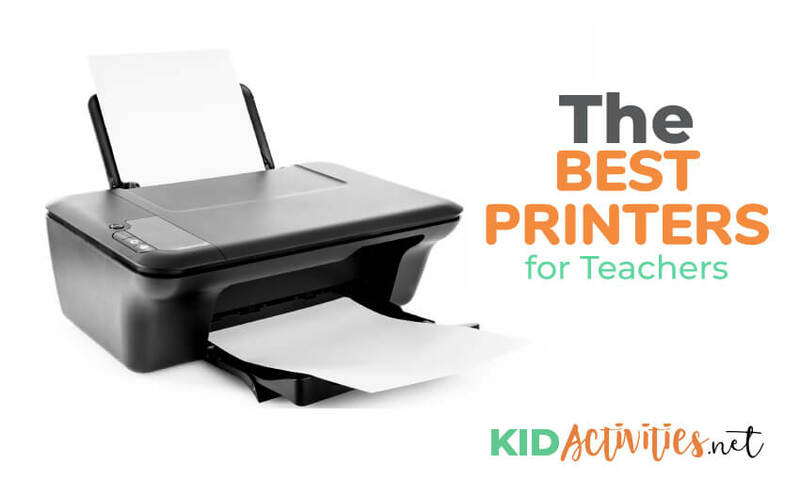 So, now that you have this guide to the best printer for teachers you can see that there are many different features to consider. 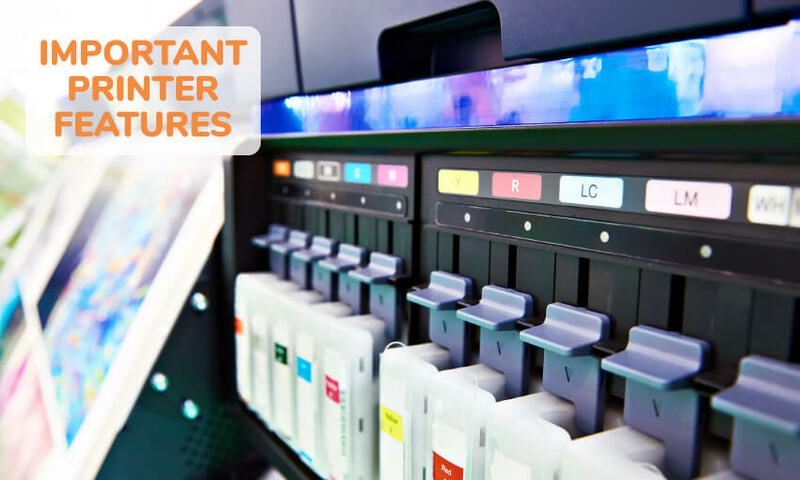 Weighing the odds between an inkjet and a LaserJet printer as well as black and white and color prints will basically depend on your needs as well as the additional features that each one has to offer. In the end, you will need to ask yourself how much can you spend and how much is in your yearly budget for the ink, paper, and other additional supplies needed to furnish your classroom.